Black & Brown CAN be worn together! 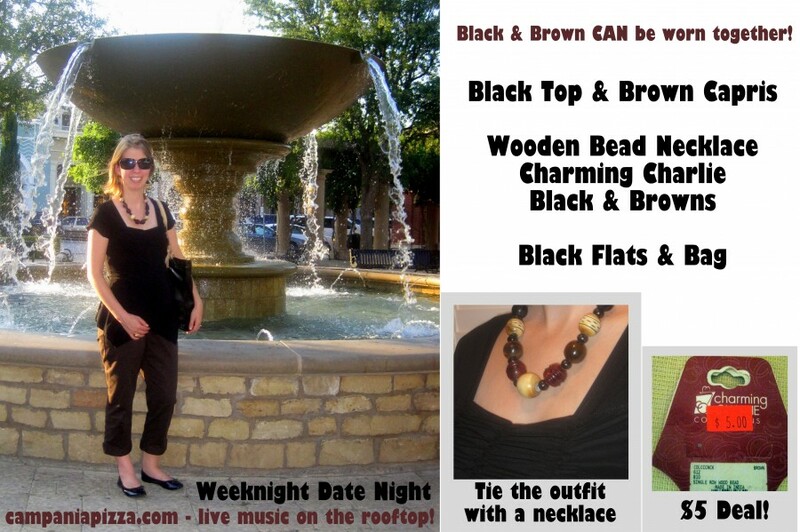 Black Top & Brown Capris, Wooden Bead Necklace: Charming Charlie Black & Browns, Black Flats & Bag. Tie the outfit with a necklace. Weeknight Date Night- campaniapizza.com – live music on the rooftop!